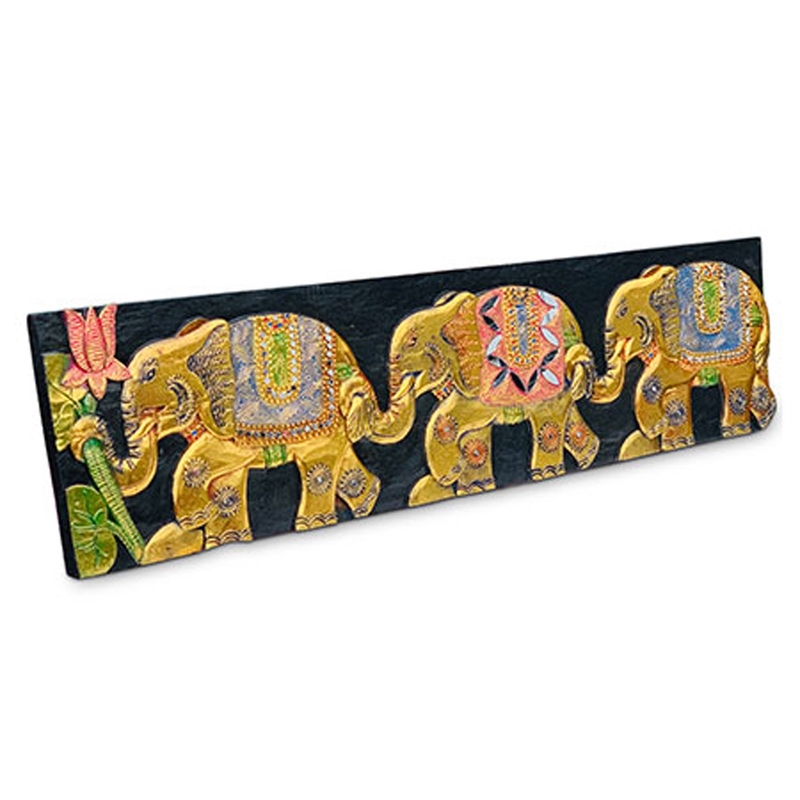 We are very proud to introduce the gorgeous Contemporary Three Elephants Wall Plaque. This modern wall plaque has a stunning design that'll be sure to impress, as well as acting as a stunning focal point for any home. The golden elephants contrast with the dark background to make it look especially eye-catching.